Long-time indie pop fans certainly are familiar with The June Brides, Aberdeen, and 14 Iced Bears. Albums from all three bands are among our treasured artifacts around WYMA headquarters, and we are always on the lookout for more. 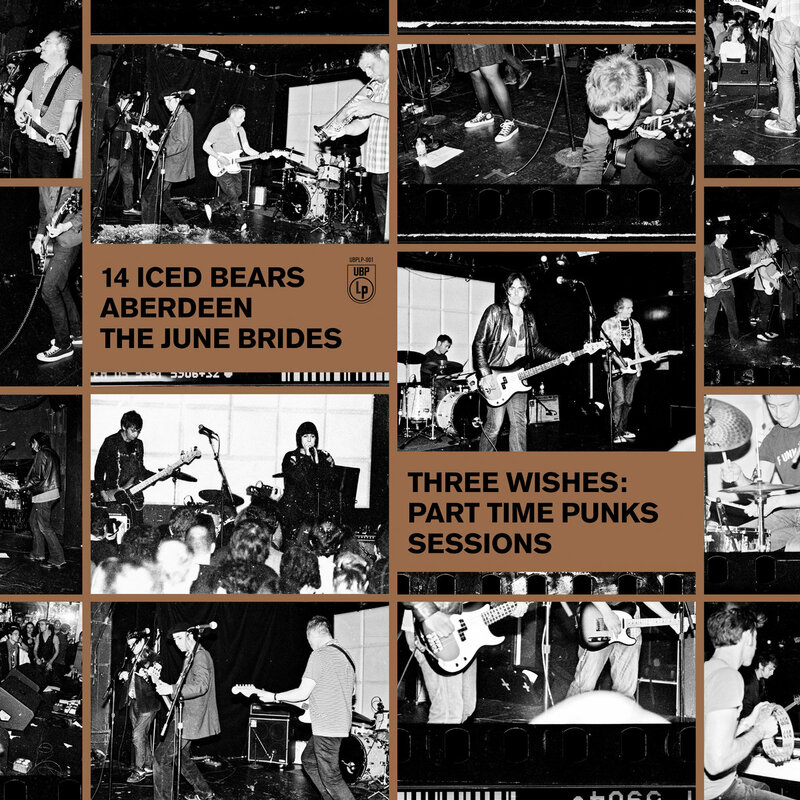 So imagine our delight in finding our about Three Wishes: Part Time Punks Sessions. The album features previously unreleased live recordings of four songs by each of the three bands. The recordings took place in 2011 when the bands gathered in Los Angeles to play a a club called Part Time Punks. The bands also had been invited to play for a local radio station, but when the radio session couldn't be scheduled for airplay the bands decamped to The Committee To Keep Music Evil in Hollywood, where Rob Campeanella and John Girgus recorded four songs picked from each band's considerable catalog. For reasons unknown to us, the compilation wasn't released until January 2017, and if it weren't for John Girgus alerting us to its existence, we might have missed it. But now we have it, and want to share it with all of you. Since it was released in 2017, we expect it to be on our best albums list. Dig in, music fans.